Dopamine-quinone is synthesized by oxidation of the catechol ring of dopamine. If this occurs within the neuronal cytosol, the quinone may react with cytosolic components, particularly cysteine residues. In contrast, if quinone is produced within neuronal lysosomes it may provide the fundamental building block for neuromelanin. 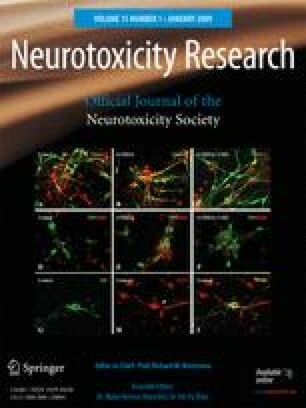 Since the population of neurons that die in Parkinson’s disease are those that display obvious intralysosomal neuromelanin and since cytosolic dopamine-dependent oxyradical formation may underlie methamphetamine toxicity and other specific forms of neurodegeneration in dopaminergic neurons, it is important to elucidate the pathways leading to dopamine-quinone. Here we review pathways by which intracellular catechols may be oxidized to quinones, either enzymatically or via reduction of ferric iron or other metals. These metabolites can be adduced by cysteine, could underlie aberrant metabolism and ubiquitination pathways, may induce Lewy body formation, and mediate the synthesis of hydroxyl radical and oxyradical species. Finally, we suggest that by accumulating excess cytosolic catecholamine, neuromelanin synthesis may safely sequester quinones that would otherwise be produced in neuronal cytosol.